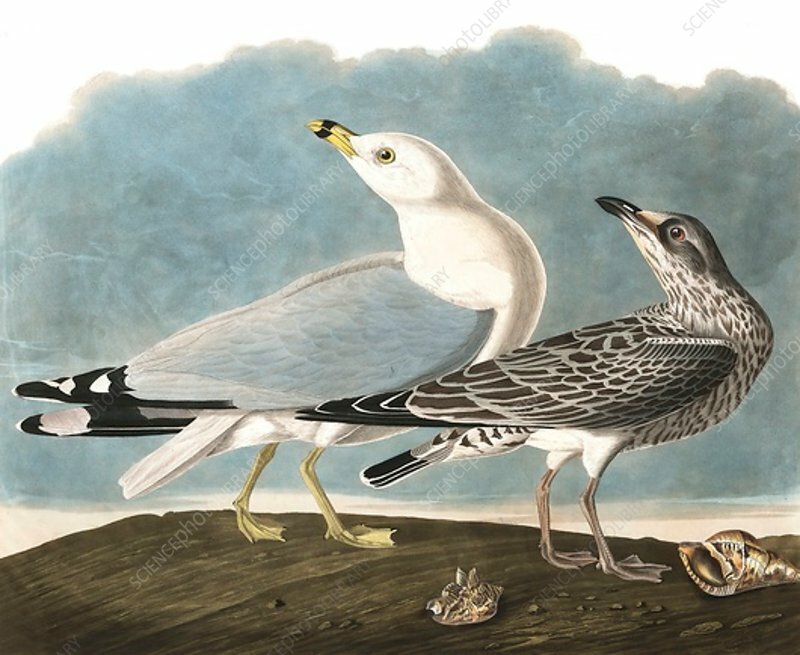 Ring-Billed Gull, Larus Delawarensis. From The Birds of America by John J. Audubon. Pub.